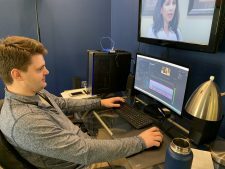 For creative, professional, high quality video production services in the Buffalo market and surrounding region, companies of all sizes rely on David Collins Productions. Whether you want to deliver a message to your employees, to your current customers, or to the entire market, turn to the experienced team at David Collins Productions. 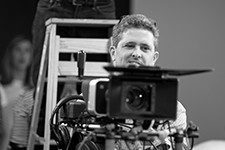 For over 20 years, David Collins has been helping clients bring their ideas and vision to life on-screen. Company website videos, social media marketing videos, and television commercials are all approached individually, and with creativity. We customize each project – nothing canned or cookie-cutter at DCP. Each video presentation is an original. Whether you need Recruitment and Training videos, Educational and Motivational videos, Sales or Fundraising videos – we can create a visual message to compel your audience. In this competitive marketplace, you may also need a TV Commercial to cut through all the clutter. We are big believers in television advertising, because we’ve seen the results first-hand. If you are looking to brand your company on TV, or have a specific call to action, we can help you meet those goals. Our goal is to exceed your expectations and deliver effective video solutions to your company. Call us today to learn more or arrange a meeting. We’ll Make You Look Good!